SoundBites 2019 tickets on sale now! Get the latest on music, Milwaukee and events sent right to your inbox! Lindsey says it’s cool to see herself on the “best of” articles, to be in such great company, but her mom reads them more than she does. It’s not like she’s any stranger to the spotlight. Since she released her 2017 EP “Habit,” she’s been touring nonstop—once around Asia, to Europe thrice and of course, endlessly in the States. She’s Madison Square Garden big. Snail Mail and Interpol are playing there in 2019. What she’s more concerned about is keeping the acclaim—and the criticism—away from her next record. Lindsey brings up another artist who skyrocketed to the top of many 2018 album of the year lists—Mitski. Speaking of things she considers to be incredible, I ask her about the other music she’s been listening to lately. Listening to Snail Mail’s music, this may come as no surprise. But she explains her love of sad songs—listening to them and writing them. “People use art to help bring themselves out of the abyss. I think a lot of people make music as a personal coping mechanism or a therapy thing. I think that is where a lot of sad music comes from and I like to personally use it as a outlet. Lindsey Jordan is Snail Mail. 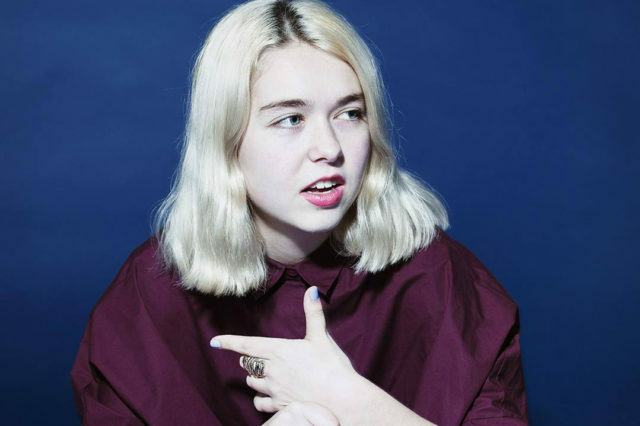 And Snail Mail’s 2018 album “Lush” was one of the best of the year, according to me and quite a few others—Pitchfork, Stereogum, GQ, NPR, Rolling Stone…you get the idea. So when I caught up with Lindsey on the phone, I congratulated her on being on all these lists and asked her how she feels about them. She talked about feeling a kinship with Mitski and opened up about what it’s like to write sad songs.